Wishing all who celebrate a very Happy Krishna Janmashtami. Lots of things come to mind when I think of Ashtami during childhood.It was always a double celebration since we lived a wall apart a Krishna temple and it was almost like a second home for us.So whatever preparations we did at home,which began with cleaning up the Pooja room and creating a small corner for the Krishna idol,replete with flowers and fruits for the pooja at night,were done at the temple too. At the temple,the most fun activity for the kids was the drawing of baby Krishna's feet.There were fights as to whose 'feet' were more cute and perfect and whose 'feet' were actually going inside the 'sanctum sanctorum'.Since none of us could actually point the 'feet' at one direction,since there were so many kids!,the priest would tell us that Krishna ran all over and everywhere inside the temple so all of us would feel happy and content! 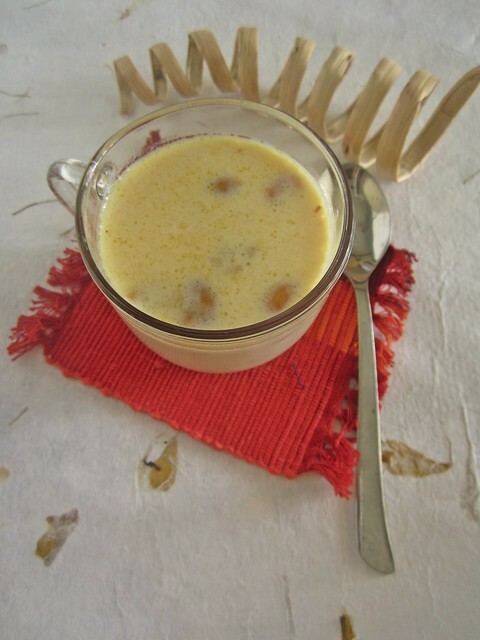 Back here,it is a very quiet celebration,so I decided to pep it up a bit with this simple,but delicious payasam made with Krishna's favorite Aval/Beaten rice. 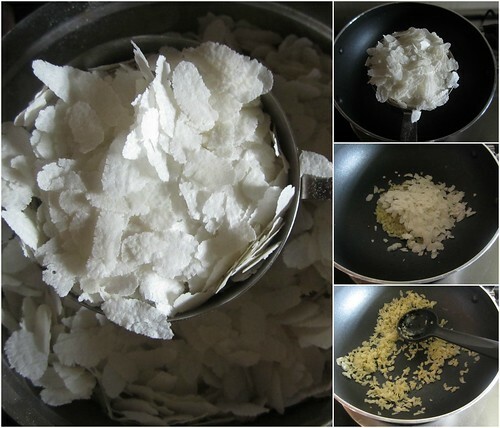 Since Onam is fast approaching,it is a perfect recipe for Onam Sadya as well.Though I am not a payasam person and prefer a glass of Paalada once in a while,I love simple payasams like these which gets done in minutes with ingredients readily available in your kitchen. In a deep pan add ghee and roast the cashewnuts till golden brown.Remove and keep aside. 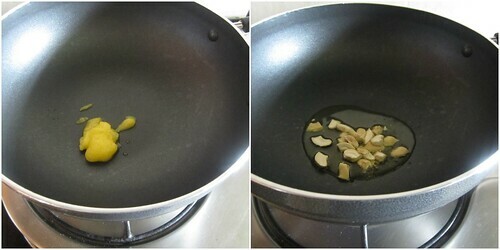 In the same pan,roast the aval/beaten rice till it slightly changes in colour and becomes crisp. At this stage add the nuts along with the milk and let it cook or else you could add it during the last stage.Cover and cook for 7-10 minutes. 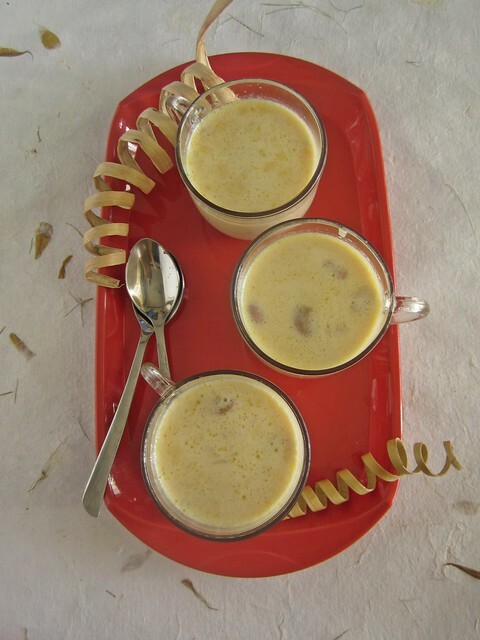 Mix in the milkmaid and sugar,stir well.Let the payasam thicken further,simmer for 5 more minutes. 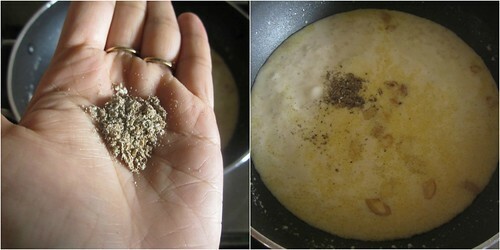 Mix in the crushed cardamom and switch off the flame.Close with a lid and let the flavors infuse. Serve warm or cold,tastes delicious both ways. I used milkmaid as I had some leftover.If you are using milkmaid,you need not add sugar.I added some as I like my payasam really sweet.Do a taste test and add according to your taste buds. If you do not have milkmaid,increase the sugar to 1/2 to 1/3 cup. I like the flavor of cardamom in my sweets,however you could add saffron soaked in milk as well,or skip both.The aval has enough flavor on its own. know what Divya..i have always felt that u are one of the best teacher, to learn cooking 1 its soo easy to follow the recipe with the instructions...yummy yummy payasam, dear ! 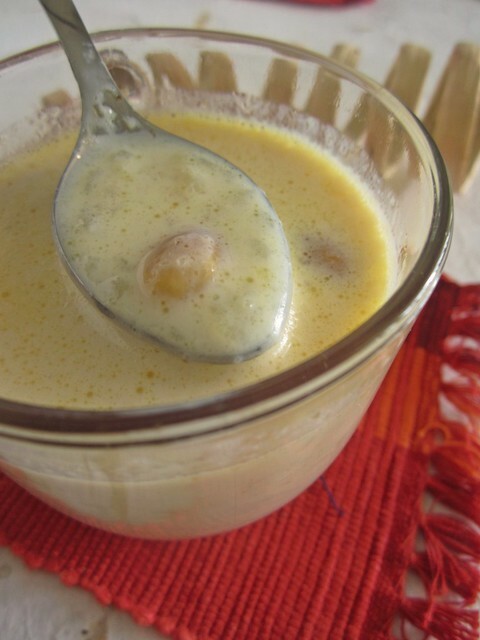 Yummy payasam recipe. Avval payasam is new to me. Wonderfully captured. Give me that cup,would love to finish it rite now..Delicious! 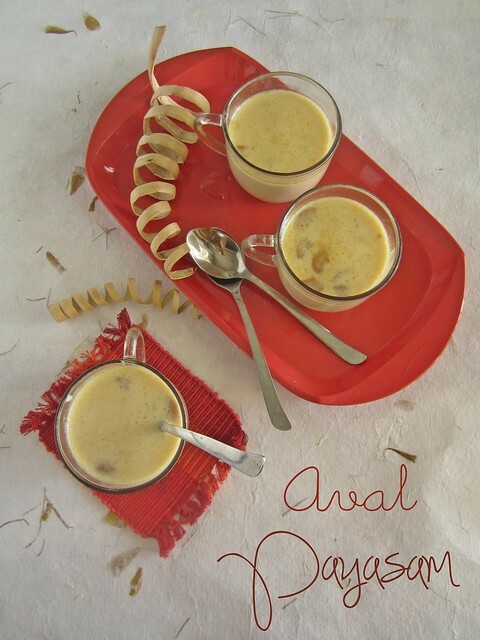 Aval payasam looks so good! 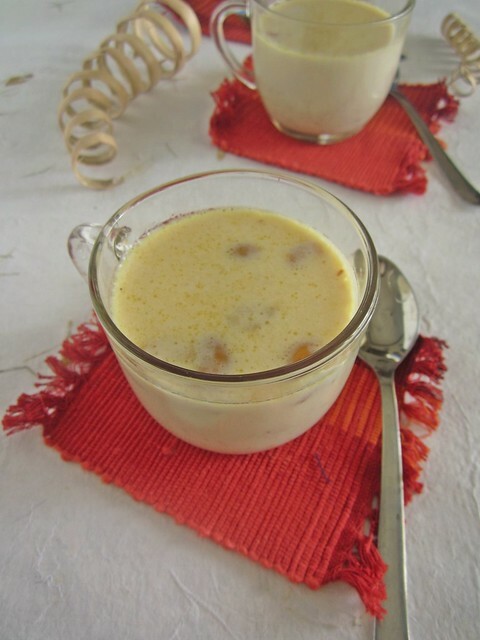 I often make vegan aval payasam.